1, Perfect body design as a usb wall charger to cover the camera inside. It makes this spy camera more reliable for the customer. 2, 1080P Full HD Brings You A Different Experience. A high-definition image and video quality is crucial to monitoring your home when you are away. Phreilend hidden camera will capture every detail that you want to see through the APP. 3, Wi-Fi streaming via multi-functional APP. After you connect this IP camera to your house WI-FI network, You could live-stream your footage from anywhere in the world. You can just be focused on what matters when you are not home. 4, Motion detection & alarm push, those functions is the basis for this type of indoor hidden security camera. You can capture anybody who is moving through the camera. 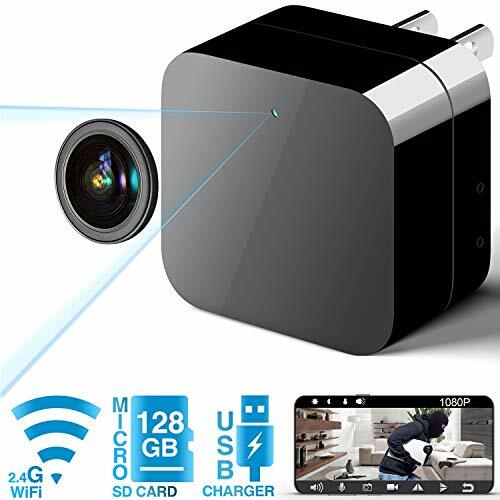 5, 100% Satisfaction Guaranteed: We firmly believe that Phreilend Wi-Fi Mini wireless hidden camera spy IP camera with motion detection is the best product on the market for your home security. If the product doesn\'t meet your needs, we can promise that you can get a full refund from the order.